This morning I was sent a link to an huge quantity of interviews with exhibitors at last month’s delightful MIX convention by Fancy Pants Gangsters. You can check them out here. Get your mini-comics ready… only 23 months until the next MIX! 1. The deadline for submissions for the sixth issue of HIVE: A Somewhat Quarterly Comics Anthology has been set at April 1st. 2. HIVE FIVE is now available for preorder here. It is full of cartoonists ranging from Brazil, Germany, Scotland, UK and some of your very own Minnesotans. 3. We are accepting submissions for a one shot anthology themed around “JOBS IN FOOD SERVICE” There is not a due date as of yet and the tech specs are the same as the HIVE antho. Ken Avidor has been added to the excellent list of artists included in City Pages 100 Creatives list. Will Dinski was recently a guest on Inkstuds. Ryan Dow was recently featured on the Idiot Engine Podcast. 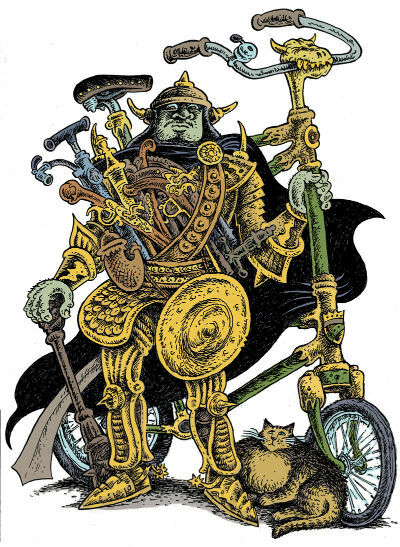 Lars Martinson was recently featured on the Deconstructing Comics podcast. Lars also had his work recently featured here and here. Would you like to guest edit Lunch Break? Send a self portrait (as a drawing or photograph) plus five links to your favorite webcomics to Sarah Morean at smorean@gmail.com. Lunch Break is a short round-up of favorite webcomics appearing here each weekday at noon. Here’s something for you to enjoy over your lunch break or whenever. The premise is simple: it’s another day on the internet. Here’s a new or forgotten comic that seems interesting. Have something to recommend? Email us: crosshatchdispatch@gmail.com. Those of you who were at last month’s Minneapolis jam really won’t want to miss this hilarious Action Athena comic. There has been a whole lot of coverage of the Minnesota cartooning scene recently… here is a round up. 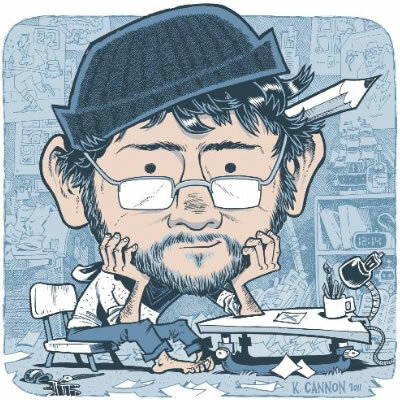 First of all, the excellent Star Tribune story about the Twin Cities cartooning scene by Tom Horgen from last Sunday’s paper can now be read in its entirety online. Don’t miss the video with Peter Gross and the gallery in the sidebar. In their ongoing 100 Creatives series at the City Pages, they have now covered Local Hero Kevin Cannon, Zander Cannon, Lars Martinson, DWITT, Adam Turman and Altered Esthetics’ own Kara Hendershot, among many other great local artists. Twin Cities Public Television recently did a feature on Zak Sally. The Daily Crosshatch just posted videos of Lars Martinson‘s “How to Self-Publish a Graphic Novel in 8 Hard Steps” presentation from the 2010 Graphic Novel Writing & Illustrating Conference sponsored by the Loft Literary Center in Minneapolis, MN. The Daily Crosshatch also recently ran an interview with Pete Hodapp the cartoonist responsible for what was probably my favorite comic in the Lutefisk Sushi Volume D box, The Possum and the Pepper Spray. Apparently part 2 of the interview is coming soon. Tom Kaczynski was recently interviewed at the Comix Claptrap. 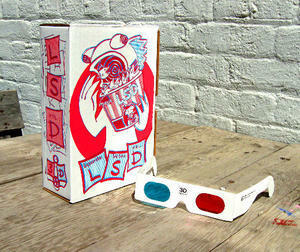 LSD featured artist Danno Klonowski’s photo gallery. BIG FUNNY was just A-Listed in this week’s City Pages…read it here. Also, Painter extraordinaire Amy Crehore just reviewed us on her wonderful Little Hokum Rag blog. Read it here. We’ve been doing really well on getting the word out about BIG FUNNY so far… for a list of places that have mentioned the show or the publication, check out the ongoing list on our Facebook page. 1) Please do tell your friends, family, co-workers, associates and potential love interests, you sly dog. In person, via email, via a social network invite, using two tin cans and one taut string, or by serenading outside their windows at three AM. Here is the Facebook event to invite friends to. 3) Please consider distributing some of the postcards and newsprint posters that can be picked up at the gallery. 4) If you know members of the press, please consider directing them to our press release. 5) Please consider hassling strangers on street corners, wearing sandwich boards promoting the event, floating over the city in a BIG FUNNY painted dirigible, or using other means of guerrilla promotion as your fancy dictates. Due to their lack of implements of modern communication, we anticipate an unfortunate shortage of hillbillies… so if you wish to hike the Appalachian Trail with a bullhorn, please contact Jamie. Please don’t forget to direct folks to our website. Thanks for your help, and thanks much to those of you who have already done some or all of these things (although it was taking it a little too far shaving the logo in your chest hair, Kevin). BIG FUNNY reviewed on Drawn! BIG FUNNY has been reviewed on Drawn by Ape Lad (aka Adam Koford)… go read it here.